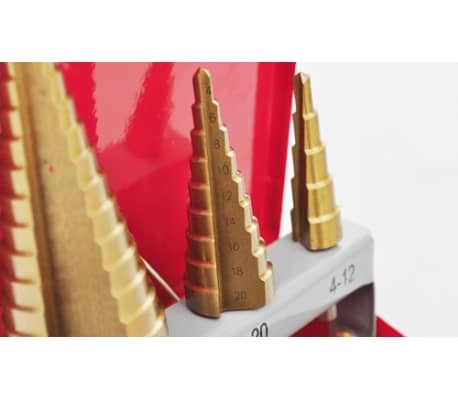 Step drills: 4-12mm 3 Piece / 4-20mm / 4-32mm. 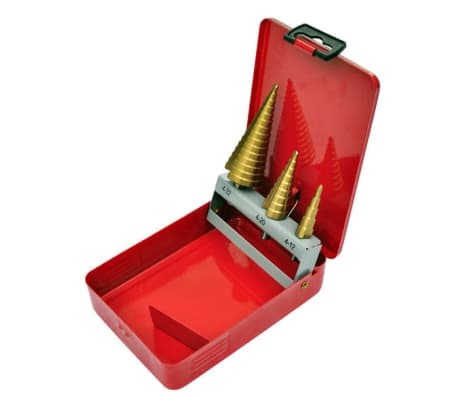 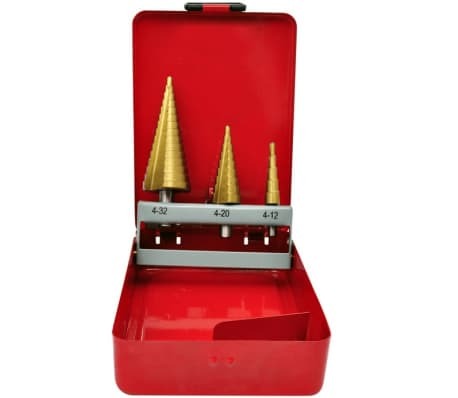 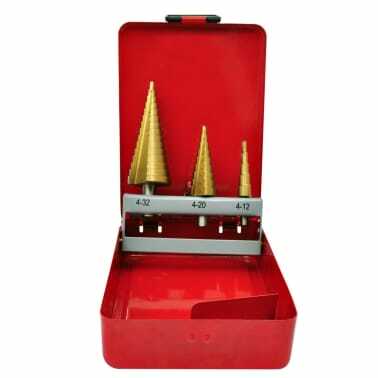 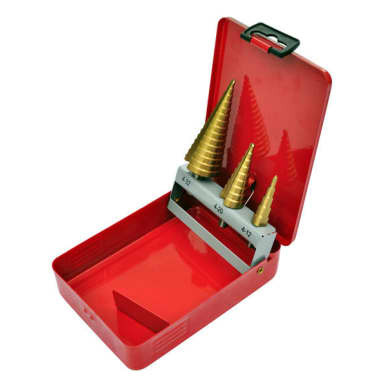 This 3-piece HSS drill bit set is titanium nitride coated. 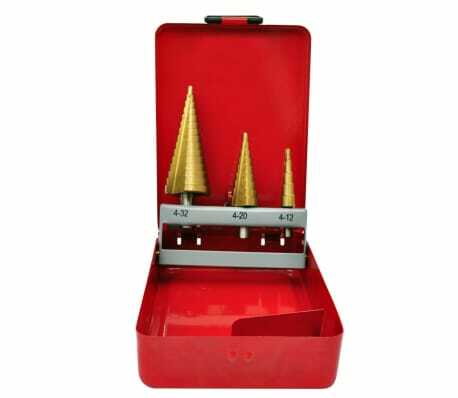 There is an up to 6-fold increase in lifetime due to its titanium coating. 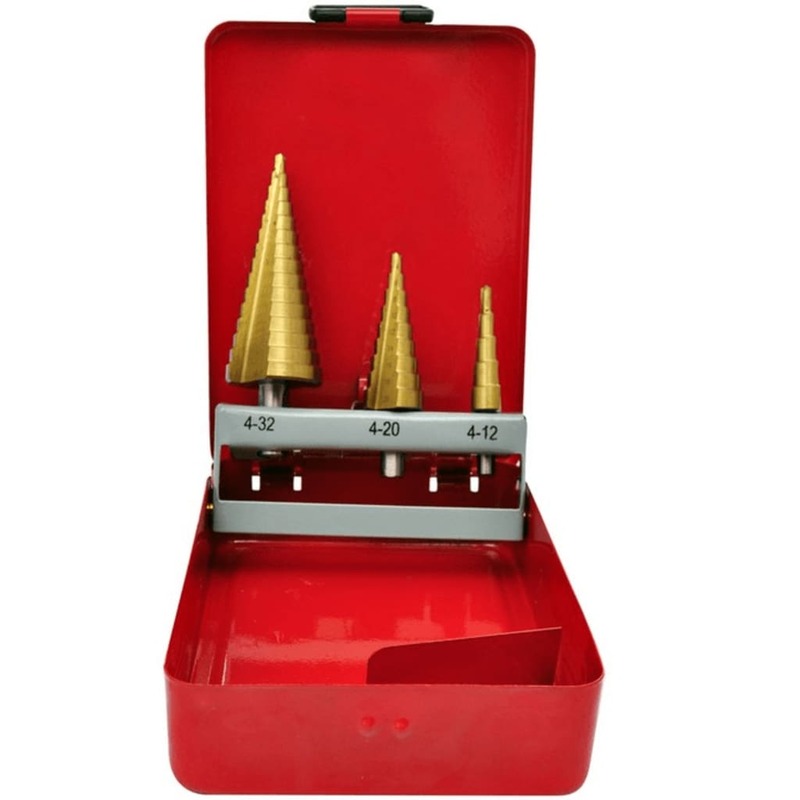 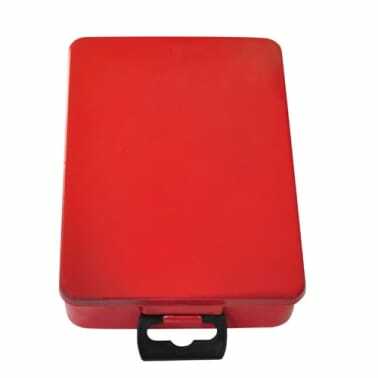 These shank drills are suitable for all common drilling machines. 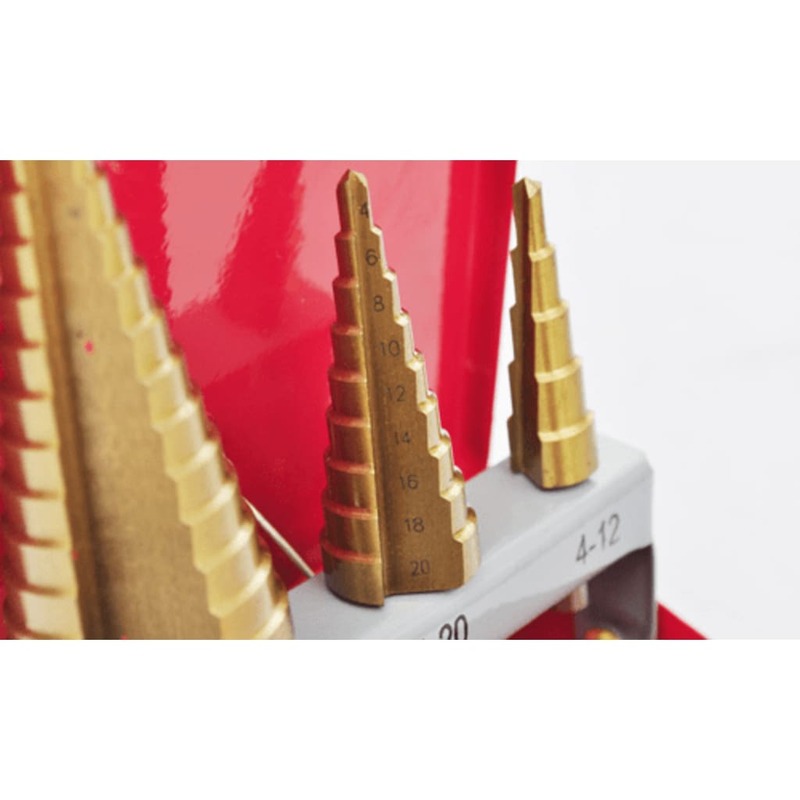 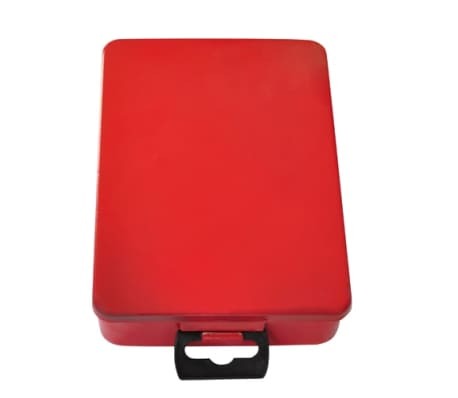 The drill bits are high heat resistant and they can be stored in the practical storage box made of metal.